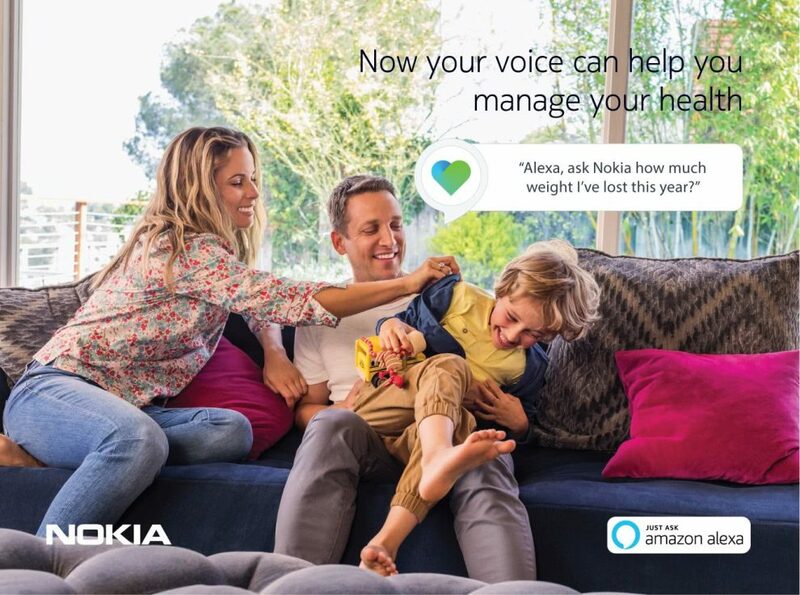 Alexa, the personal assistant from Amazon has just received a new skill in the form of “Nokia Health Mate” . Now, owners of Amazon Echo (or 3rd party Alexa devices) can get to know their health stats and progress by simply asking Alexa. It’s as simple as calling out Alexa and then “Ask Nokia how I slept last night”. Health Mate Skill for Alexa supports a number of questions. You can ask Alexa about your weight, your sleep or activity stats and she will promptly answer using the data from your Nokia Health Mate app. The best way to know what all she can answer is by simply asking her yourself. The Skill is free for everybody to use. You can add the skill to your Alexa device by shooting up the “Amazon Echo” app and searching for “Nokia Health Mate”. You can also shorten it to simply “Nokia” and you’ll get the skill as the first result. Only English (US and UK): The skill currently supports two languages viz. English (GB), English (US). If you’re using Alexa in a different region, then you’ll either have to change the language of your Alexa device; or wait for Nokia Health to deliver the skill in your language.